The 25thAnniversary of the Rwandan genocide was marked earlier this week. While the horrific violence that occurred throughout those 100 days must never be forgotten, the stories of the strength, courage and perseverance of survivors also need to be told. In this powerful and moving article, Marie-Louise, Gloriose and others share their journeys of healing, aided by their own determination, their hopes for their children, and support from the local and international communities. Is access to lifelong learning crucial to older women in sub-Saharan Africa? This area of human rights will be explored at the 10th Session of the UN Open-ended Working Group on Ageing, April 15-18 in New York. GRAN is very fortunate that Peggy Edwards, our co-founder, will attend, assisting with an event organized by the International Longevity Centre in Ottawa. One of the themes this year is the importance of Lifelong Learning for women to live meaningful, self-fulfilling lives as full members of society. 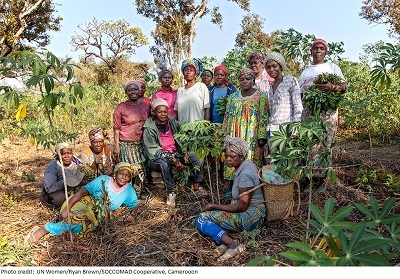 And older women in sub-Saharan Africa are asking for education in basic literacy, skills training such as agricultural practices, health and the new technologies. 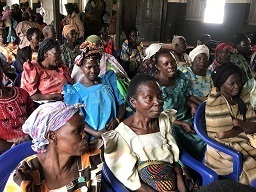 Read why education is so critical to grandmothers in HelpAge’s submission to the Conference, ‘Living Not Just Surviving’. You can also follow this UN conference on the web. This International Women's Day is an opportunity to celebrate progress that has been made towards gender equality and to learn more about the barriers still facing women around the world. "A bus to get to work. A clinic for health care. A monthly pension for old age. Some people can take these for granted. But many others suffer from the lack of infrastructure, public services and social protection that affect their rights and well-being. Women and girls are often foremost among those who miss out. Progress and real development will only be possible if all people have equal rights and opportunities to thrive. Meeting that goal requires recognizing that women and girls face particular barriers and have different needs. And then taking deliberate steps so that no woman or girl is left behind, regardless of where she lives or how much she earns, or where she comes from." Click here to read more from the UN Women photo essay: "Equality is our goal. Access is our right". Each year, February 6 marks the International Day of Zero Tolerance for Female Genital Mutilation. The day is observed around the world as a way to raise awareness and to motivate action to end this practice. You can learn 5 important facts about FGM by clicking here. International Development Week is celebrated every year as a way of recognizing the importance of Canadian aid in making the world a better place. In 2019, it takes place from February 3rd to 9th under the theme "Together for Gender Equality". This year over 50 international development and humanitarian organizations are participating, under the coordination of the Canadian Council for International Co-operation, with support from Global Affairs Canada. Events such as panel discussions, awards presentations, film screenings, arts festivals, conferences and workshops are being organized all across the country, in communities from Vancouver to St. John’s, and many places in between. You can check out what is happening in your region by visiting the Calendar of Events on the International Development Week website. This special week provides many great opportunities to learn what Canada and Canadians are doing to make a difference in the world and to celebrate our engagement and commitment to a more just world for all. Don’t miss it! For the past 16 days, GRANs across the country have been participating in the worldwide "Orange Campaign," standing in solidarity with women's rights defenders around the world who work tirelessly to bring an end to violence against women. Check out our photo gallery to see many of the ways GRAN members "oranged" their towns and cities to raise awareness and engage their communities. As this year's Campaign comes to a close, we take the opportunity to honour the work of Aissa Doumara Ngatansou of Cameroon whose own life experiences motivated her to co-found a regional centre to help women and girls affected by gender-based violence. Click here to read Aissa's story. December 1, 2018 marks the 30th anniversary of World AIDS Day. In 30 years the world has made considerable progress in the fight against HIV/AIDS, but the epidemic is not over. What more is to be done? For a thorough and informative walk through the developments in the global HIV/AIDS response over the past 30 years and a vision for the next 12 (taking us to 2030), please click here to read the World Health Organization's online article: "Why the HIV epidemic is not over". On November 25 the world marks International Day for the Elimination of Violence against Women. And with it, we enter into the 16 Days of Activism Against Gender-Based Violence, culminating on International Human Rights Day on December 10. GRANs across the country are “Oranging” their communities to help raise awareness. You can read (or watch) Phumizile Mlambo-Ngcuka’s full message by clicking here. #HearMeToo brings to the forefront the voices of women and girls who have survived violence, who are defending women’s rights every day, and who are taking action — many of them very far away from the limelight or media headlines. Their voices and stories need to be heard too. 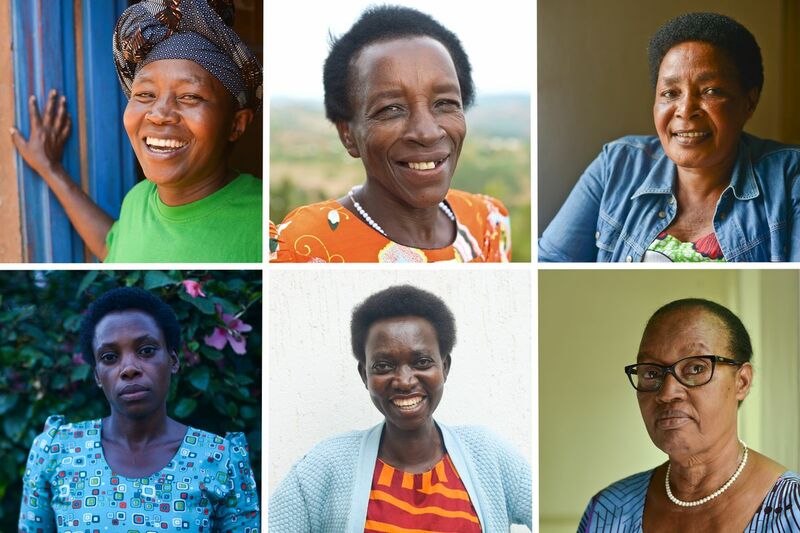 Click here to read moving personal #HearMeToo stories from Africa. Consider sharing this post with others via social media using #HearMeToo and #orangetheworld! UN Women has come up with a “Twibbon” that allows you to show support by “Oranging” your profile picture on Facebook and Twitter. Click here if you’d like to “Orange” yourself over the next 16 Days! GRAN advocates in Kawartha Lakes, ON are proud to be living in a region which is taking its place alongside other locales worldwide to “Orange the World” and galvanize action to end violence against women and girls both at home and around the world. Read here how GRANs in the City of Kawartha Lakes will be lighting up their community with "Orange" awareness during the 16 Days of Activism Against Gender-Based Violence.